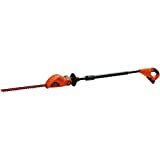 The BLACK+DECKER LBXR20 20 Volt MAX Extended Run Time Lithium Battery is compatible with the BLACK+DECKER 20-Volt MAX line of power and gardening tools. These batteries have been formulated for longer runtime and improved performance. This battery is compatible with cordless tool models BDC120VA100, BDCDMT120, BDCDMT120-2, BDCDMT120F, BDCDMT120IA, BDCF20, BDH2000SL, LC3K220, LCC220, LCS120, LCS120B, LD120VA, LDX120C, LDX120PK, LDX120SB, LDX220SB, LDX220SBFC, LGC120, GLC120B, LHT210, LHT2220, LHT2220B, LLP120, LLP120B, LPHT120, LPHT120B, LPP120, LPP120B, LST220, LSW120, LSW20, LSW20B, SSL20SB, SSL20SB-2.